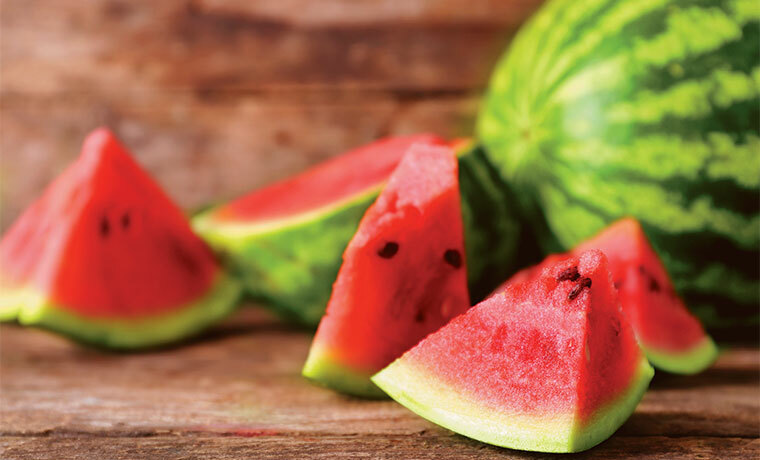 QCOSTARICA – Costa Rican watermelon (sandia in Spanish) exporters have a golden opportunity to improve their profits thanks to Mexico and Honduras’ lower production and sales to the United States, and the permission they received to enter the Cuban market. Between 2014 and last year, sales fell 10% and amounted to US$14 million dollars. Sales have decreased since 2012 and had a slight 4% recovery in 2014. Sales to the United States underwent a similar phenomenon, as they went from US$2.5 million dollars in 2012 to US$263,000 dollars last year, despite having recovered from 2014. The low production in Mexico and Honduras, caused by last year’s bad weather conditions, increased prices so US buyers are looking for other options. “Our main export destination for this product is Europe, but there is potential to increase the share of exports to the US market through business agendas with our sales offices in Miami and New York,” said Pedro Beirute, CEO of Costa Rica’s Foreign Trade Corporation. As a result of this scenario, watermelon exports to the US are expected to increase between March and April. The country also has the opportunity of exporting to Cuba, thanks to a special entry permit for watermelons. However, Costa Rica won’t export watermelon to other Caribbean nations, such as Martinique, Bahamas, Barbados and Dominican Republic because the country doesn’t have entry permits for these markets. According to domestic producers, Costa Rica’s watermelon is well known because of its sweetness, size and competitive price. “Producers are producing more watermelons with seeds, as this is the most demanded in the US,” said Randall Benavides, owner of Pura Fruta, a Costa Rican company that sells fruits abroad. Pura Fruta and other exporters stand to benefit from this scenario and sell their products at a good price. “Our 16-kilo boxes are being sold between 8 and 9 dollars. In average, a box has between four and seven watermelons,” stated Benavides, who will take advantage of the Cuban window. Costa Rica’s direct competitors in these destinations are other Central American countries, such as Honduras, Nicaragua, and Guatemala; the last major exporter in the region. However, Costa Rican exporters might benefit from the effect that the phenomenon of El Niño had on their competitors’ crops. Watermelon exports are performed via annual contracts, thus the production placed on the market is from the previous year. As such, the product being placed at this time in the market is the result of the planning in 2015.